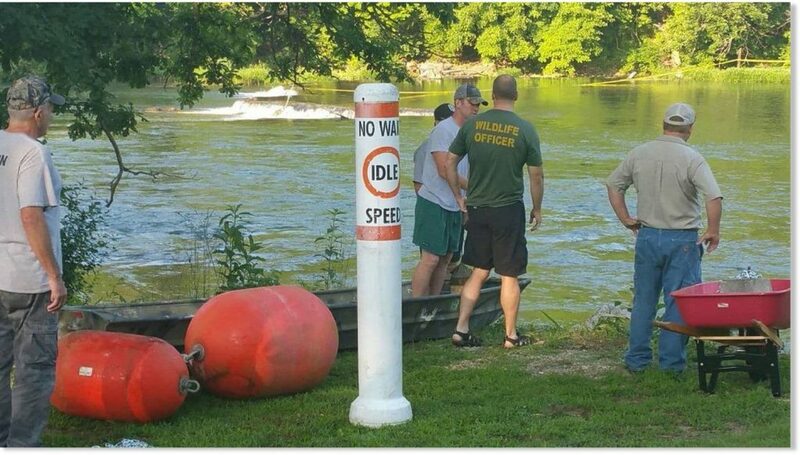 A kayaker bypassed a part of an Arkansas scenic river known as Dead Man’s Curve during a weekend trip, but a rare sinkhole created a whirlpool along his alternate channel and dragged him to his death. 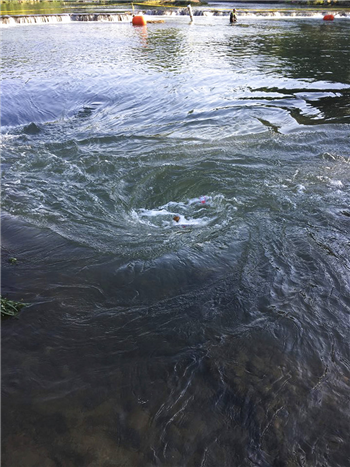 A sinkhole opened June 9 under the Spring River’s Sadler Falls in northern Arkansas, causing a whirlpool which swallowed up a kayaker. Donald Wright, 64, from Searcy, Arkansas, died Saturday at Saddler Falls along the Spring River, said Keith Stephens, a spokesman for the Arkansas Game and Fish Commission. At least one other person was injured. 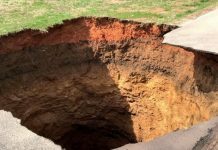 Sinkholes are common in the northern half of Arkansas, where subterranean limestone erodes away easily. Small whirlpools are common where bits of land extend into waterways, but having a sinkhole open a whirlpool in the middle of a stream is uncommon. “I’ve been here for 40 years. This is the first one I’ve ever heard forming in a river like this,” said Bill Prior, a geologist supervisor at the Arkansas Geological Survey. The Spring River was flowing normally Saturday — fed by Mammoth Spring, the second-largest spring in the Ozark Mountains. Its steady flow, at about 356 cubic feet per second, makes it desirable for basic training on kayaks and canoes. “Classes are often held on the Spring River because Mammoth Spring has such a reliable flow,” said Jonathan Gillip, field operations chief for surface water at the U.S. Geological Survey office in Little Rock. Dead Man’s Curve has the occasional switchback, falls and pools, but isn’t terribly turbulent, said Rocky McCollum, owner of Spring River Camp and Canoe. Boaters avoid it mainly to take a short cut around the switchbacks — but doing so Saturday put them on a portion of the stream where the river bed gave way. Saturday’s whirlpool was both instantaneous and thousands of years in the making. The Spring River eroded harder rock above an underground cavity, and when the river bed gave way, it created a vacuum that sucked the water in a “pretty strong vortex,” Prior said. Rachel Ratliff, Rocky McCollum’s daughter, rented canoes to Wright’s group and said Wright was wearing a life jacket and was an experienced kayaker. “But the river is stronger than any life jacket there is,” she said. If the sinkhole system were closed, the water would drain into the cavity and eventually refill enough to kill the whirlpool. But because there’s no change at the river gauge at Hardy, about 20 miles (32 kilometers) downstream, the whirlpool is likely diverting water back into the river, Gillip said. 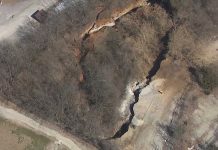 This kind of One Man Trap Sinkhole has been increasing recently. 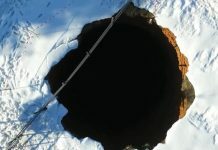 I am sure this guy who were trapped and died in this sinkhole had a heavy karma. Now, his spirit has been transported into another prison planet (=hell) until his spirit is completely rehabilitated.